I’ll always remember a question my eighth grade music teacher posed one day. He asked the class if we thought that music dictated our mood or if our mood dictated the music that we listen to in the moment. The consensus in my class was that both were true, but that music had the power to sneak up on you and change your mood unsuspectingly. A perfect example is when a certain song randomly plays on the radio and it suddenly carries you somewhere you’ve been before and your mood follows. Love songs are like that. 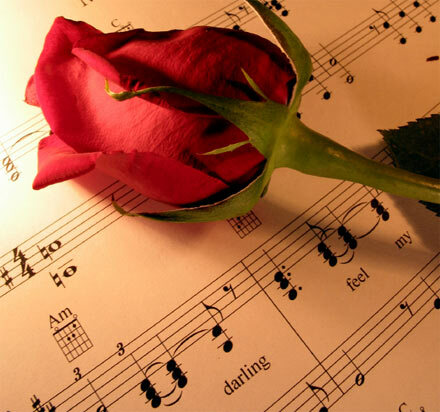 Love songs are powerful and can instantly transport you to the point you heard it first, or enjoyed it most with your lover. Love songs that become “our song” are even more powerful. When you and your lover label a love song as “our song” it becomes another shared connection that reassures you both that you’re in the right place together. “Our songs” work as romantic binding, wrapping your love even tighter than before. The difficulty is dealing with the “our song” when the relationship has ended. A perfect example from the silver screen is the song “As time goes by” in the classic film Casablanca. 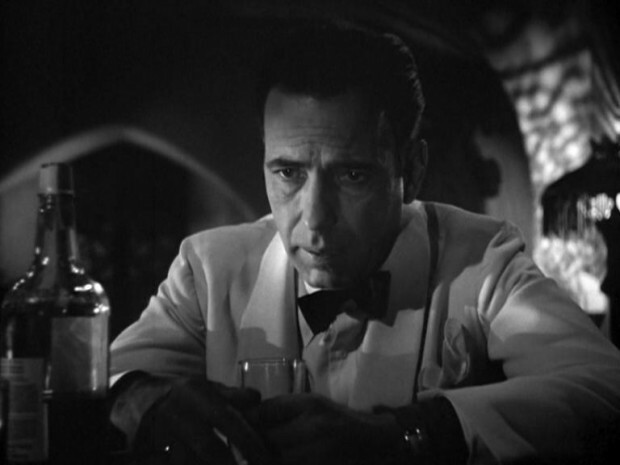 Rick (Humphrey Bogart) and Ilsa (Ingrid Bergman) split up in Paris months earlier but now Ilsa finds herself at Rick’s bar in Morocco. Before reuniting with Rick, she sits with their mutual friend Sam at the piano. Ilsa asks Sam to play “As time goes by”, the song that was once hers and Ricks. Sam reluctantly obliges Ilsa only to cause Rick, unaware of Ilsa’s presence, to dart to the piano and reprimand Sam exclaiming, “Sam I thought I told you never to play …!” Rick spots Ilsa and stops mid-sentence. The mere sound of a few bars of their song was still too sentimental and disturbing to Rick. Later that evening we find Rick sitting alone in the dark and now closed bar demanding that Sam “play it” again (and again). Distraught, he drinks himself into a sentimental stupor and stares blankly into space reliving their precious memories in his mind. Unbinding the former “our song” can be agonizing. The song that once exalted your love now makes the pain of the break-up even more acute. Then there are break up songs. Not the break up songs you sometimes use as anthems claiming wildly that you’re so much better off without her/him like Gloria Gaynor’s “I will survive” or Alanis Morissette’s “You otta know”. I’m referring to songs like George Michael’s “Kissing a fool” or Adele’s “Someone like you”. Songs that may fortuitously describe the circumstances of your break up and the feelings that were experienced. It’s as though the artist had actually witnessed it all. There is no anger in these songs. There’s only a resigned acknowledgement of two people who struggled and then walked an inevitable path in opposite directions, sometimes even dreaming of another day together. Not everyone gets to have a break up song but when they resonate, they resonate like no other, soothing and even nursing us through the pain of separation. Love songs, our songs and break up songs: all so powerfully playing as the soundtrack to our love lives; be they heart-lifting or be they heart-breaking..